Enhancing Evolution The Ethical Case for Making Better People | Free eBooks Download - EBOOKEE! 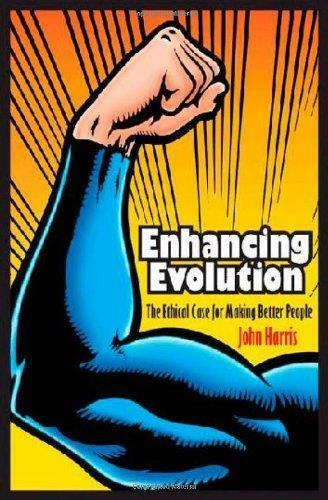 In Enhancing Evolution, leading bioethicist John Harris dismantles objections to genetic engineering, stem-cell research, designer babies, and cloning and makes an ethical case for biotechnology that is both forthright and rigorous. Human enhancement, Harris argues, is a good thinggood morally, good for individuals, good as social policy, and good for a genetic heritage that needs serious improvement. Enhancing Evolution defends biotechnological interventions that could allow us to live longer, healthier, and even happier lives by, for example, providing us with immunity from cancer and HIV/AIDS. Further, Harris champions the possibility of influencing the very course of evolution to give us increased mental and physical powersfrom reasoning, concentration, and memory to strength, stamina, and reaction speed. Indeed, he says, it's not only morally defensible to enhance ourselves; in some cases, it's morally obligatory.In a new preface, Harris offers a glimpse at the new science and technology to come, equipping readers with the knowledge to assess the ethics and policy dimensions of future forms of human enhancement. No comments for "Enhancing Evolution The Ethical Case for Making Better People".